School of Business organized an interaction of the students of BBA and MBA with Dr. N. Ravichandran on 17th March. It was a golden opportunity for the students to listen to one of the thought leaders of management education today and interact with him on various aspects of business studies in the present context. During the question-answer session, Dr. Ravichandran gave the valuable advice to the students to choose their career path as per their interest, capability and opportunity. Dr. Ravichandran is a professor at Indian Institute of Management, Ahmedabad for more than 25 years. He was director of The Indian Institute Of Management Indore for five years on deputation. 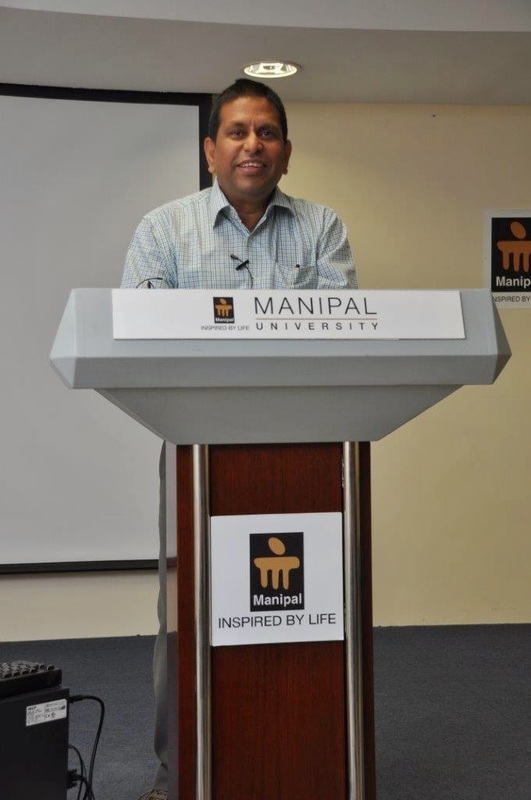 He started the five year Integrated Management Program at IIM Indore. He is also credited with rapid creation of world-class infrastructure at IIM Indore. In his tenure, infrastructure was not only envisioned but also implemented in record time. He has also introduced the PGP at RAK in UAE, now in Dubai Knowledge Village and PGP at Mumbai programs. He has been a visiting faculty to many academic institutions in Europe and India. He was a public representative on the governing board of Bombay Stock Exchange up to April, 2006.